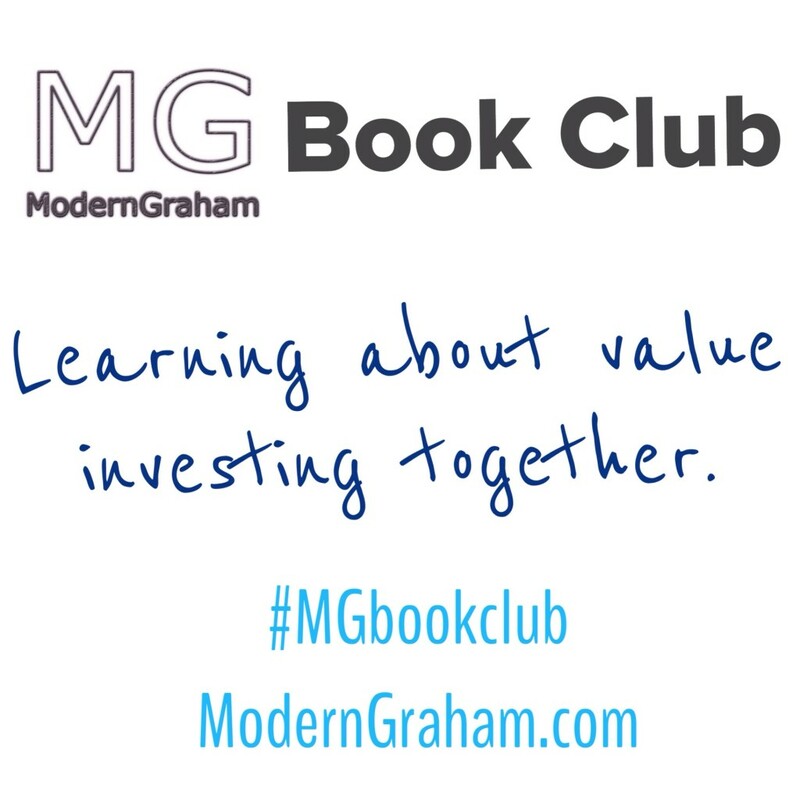 This is the eleventh discussion of the ModernGraham Book Club’s reading of The Intelligent Investor by Benjamin Graham (affiliate link). In last week’s discussion, we discussed the eleventh chapter, which explored some broad topics for investors to consider when conducting security analysis. This week we will discuss the twelfth chapter, which is titled “Things to Consider About Per-Share Earnings.” I encourage you to purchase the book (preferably by clicking the link to Amazon, because a purchase through that link will help support the club) and join in with us as we read through a chapter each week; however, even if you don’t have the book I think you will find our discussions to be very useful in your own understanding of value investing, and you can still bring a lot to the discussion from your own experiences as an investor. Whether this is the first day you’ve ever been interested in investing, or you have decades of experience with the stock market, we’d love to hear your thoughts in the comments below! This chapter is one of the key chapters in the book, and expounds some central concepts to the approach ModernGraham uses. In the start of the chapter, there is a great quote from Graham: “[First,] don’t take a single year’s earnings seriously. . . . [Second,] if you do pay attention to short-term earnings, look out for booby traps in the per-share figures. . . . If our first warning were not followed strictly the second would be unnecessary.” In essence, Graham is reminding the investor that a company can play some big accounting tricks for a single year’s earnings so when considering earnings, one must put the emphasis on multiple years rather than relying solely on a single year. Through the case study of ALCOA Graham informs his readers of the peril of accepting earnings at face value as there is an inherent incentive for glamorizing the actual data. Through some fancy footwork companies are able to spread out both losses and gains, overstate future earnings, recategorize expenditures, and much more. So, what is the average intelligent investor to do? First, make sure that you know what is included in the company’s own statements. Zweig recommends starting in the back and reading the footnotes as that is where companies will attempt to bury the stuff they don’t want you to see. Additionally, the use of average earnings can assist with getting a realistic picture of how the stock is performing as companies may be able to hide losses in the short term, but in the long term this becomes increasingly difficult. As Ben mentioned, ModernGraham uses a weighted method to accomplish this, you can read more about it here (under EPSmg). How often do you read a company’s annual report to get a more realistic picture? What resources do you find helpful with analyzing how companies calculate their own earnings? 2. How often do you read a company’s annual report to get a more realistic picture? Every year if I own the company (or a small piece of the company) and I always study/analyze the 10K for companies I am considering for purchase. 3. What resources do you find helpful with analyzing how companies calculate their own earnings? I will look at analysis earnings growth forecasts but I don’t spend time dissecting and reconstructing management’s earning calculations for comparative purposes. I compare a company’s reported earnings with their reported cash flows. I focus mostly on average earnings and cash flows over three-year periods and their associated growth rates. I use three-year average earnings because it dovetails with Dr. Graham’s recommendation for determining earning growth-rates. I look at what happens to the earnings – things like dividends, changes in total shares outstanding, changes in book value, changes in retained earnings, changes in goodwill, etc. I also will look at how a company’s growth through their use of capital effects their profitability. I do recognize that capital structure differences like leasing vs. ownership can make a big difference on ratios like ROE, P/E, and debt to equity but I have not found an occasion where I needed to standardize multiple companies’ financial records in order to determine which is the best investment. 4. What did you think of the chapter overall? Again a good chapter with some very important techniques to apply. I don’t think there is a chapter in this book that I did not find significant value in. But then, I would expect nothing less from the master. 2. How often do you read a company’s annual report to get a more realistic picture? I try to make it a point to read the annual report or 10K. 3. What resources do you find helpful with analyzing how companies calculate their own earnings? Annual report and 10K. Always read the footnotes and managements comments. 4. This chapter reinforced my distrust of accounting shenanigans. 2)	How often do you read a company’s annual report to get a more realistic picture? I read the recent 10k from every company I am invest in, and I also look at the most recent 10q for companies I am thinking of investing in. I need to make it a better habit of reading the last five 10k’s and last four 10q’s of any company I invest in. Generally, I have been following companies I consider investing in for many years, but I cannot rely on information that does not hold a penalty of legal consequence like SEC filings. 3)	What resources do you find helpful with analyzing how companies calculate their own earnings? I use ValueLine, Yahoo Finance, TDAmeritrade software, and ModernGraham to help me analyze and calculate earnings on my own. The measure of earnings is key to any calculation of value, so this chapter provides great essential guidance. You cannot realistically have an idea of value without using reliable past earnings figures to calculate present value. Below are my reflections and answers to the discussion questions posted at Modern Graham for chapter 12 – Things to Consider About Per-Share Earnings – of the Intelligent Investor written by Benjamin Graham. Pretty often, almost always at least for companies I deem as potential future investments. Annual reports and accounting principles in the notes to the financial statements. Also use to take a look at how different non-GAAP key ratios are calculated to make sure I understand and to be able to make a judgement about whether it makes sense or not. Except for the walkthrough of the Alcoa earnings for fiscal years 1970 and 1969 in search for the “true earnings”, I especially appreciated Graham’s discussion about the use of average earnings and calculation of the past growth rates.